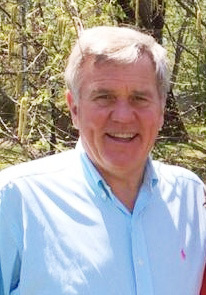 Cape Cod residents had a stroke of good luck when Bill Clark became Director of Cape Cod Cooperative Extension (CCCE) on this arm-shaped portion of Massachusetts. Surrounded by ocean on all sides, this large sand bar is a desirable place to live but it is also challenged by its geography and fragile ecosystem. CCCE is a linked to the 100-year old land-grant university system, but, unlike the rest of Massachusetts, its office has remained county-funded. Clark leads Cooperative Extension’s effort with great passion as he and his team of Extension professionals work hard to educate residents about wide-ranging topics that affect their lives. Their educational programs focus on agriculture, marine resources, horticulture, aquaculture, shellfish management, natural resources, tick-borne disease*, water quality, recycling, household hazardous waste, nutrition, food safety, youth development and environmental education issues facing Barnstable County. A staff of 18 and hundreds of volunteers admirably carry out their goals. Outreach at CCCE covers all of Cape Cod, but not the islands with one notable exception: their marine program. Consultations take place with Martha’s Vineyard and Nantucket on timely issues that impact them in the same way such as erosion issues and shell fish health. Like other 4-H programs around the state, 4-H youth development on Cape Cod offers traditional programs with various topics including: sewing, leadership community service and Science, Engineering and Technology (SET) among them. Nutrition Education Programs (NEP) and SNAP-Ed, traditional extension programs designed to disseminate helpful nutrition education, are managed by one full-time and one part-time nutritionist. Education is shared through cooking demonstrations at food pantries, classes, newsletters, workshops and ServSafe certification. When one hears words such as bivalve shellfish, sub-tidal aquaculture, dune research or friends looking for a job as a Shellfish Constables, you know you are not in the Berkshires or central Massachusetts. The very ecosystem of Cape Cod requires research and education that is needed to address specific topics unique to its residents and visitors. Among issues that top that list are: marine matters, tick-borne illnesses, coastal education, wildfire management and hazardous waste & water quality--two issues that are inextricably linked. 341 licensed shellfish growers in Mass. 1,011 acres in shellfish production in Mass. 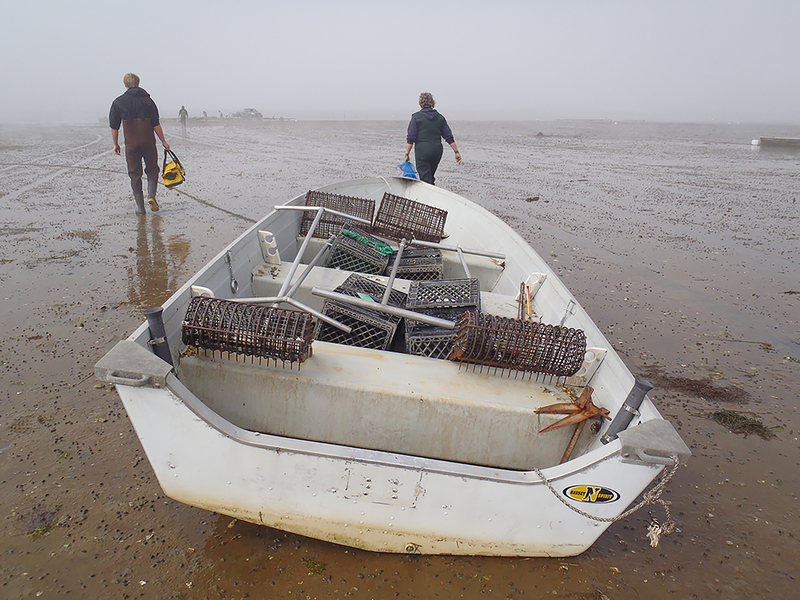 $12.5+ million value of oysters and quahog landings in Barnstable County in 2013. Using a conservative economic multiplier of 2.5*, this brings upwards of $31 million back into the local economy. The Mass Division of Marine Fisheries uses an economic multiplier of 4.5. Many factors determine whether or not shellfish will live as they must contend with numerous threats from predators, disease, and weather that can threaten their survival. CCCE’s Marine Program is responsible for robust research and education to ensure a thriving industry. 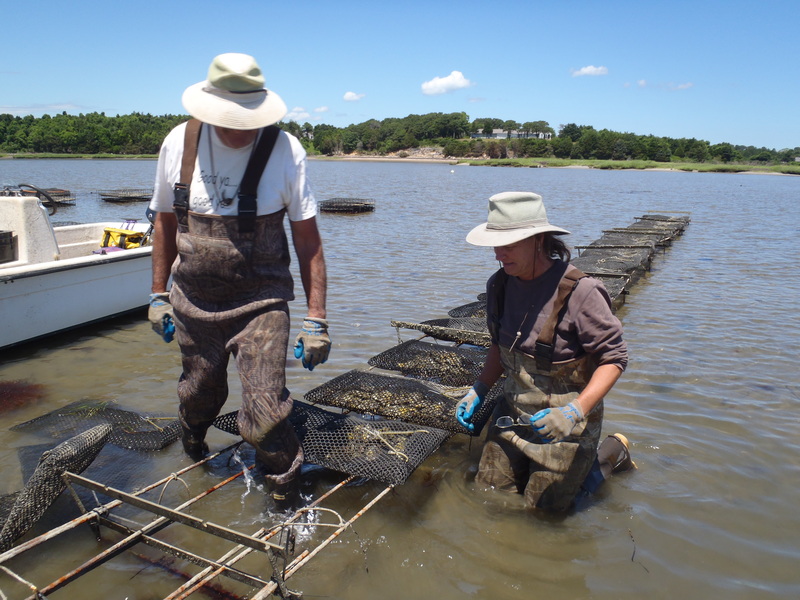 They report their Municipal Shellfish Propagation Program has a $826,500 wholesale value of quahog harvests if 50% survive and $875,000 wholesale value for an oyster harvest, also assuming a 50% survival rate. The region, through its municipalities, strives to maintain shellfish resources for both commercial and recreational shellfishing, as well as natural resource enhancement. Relying on natural stock recruitment is insufficient to meet the public demand for local shellfish, so Barnstable County Cooperative Extension Marine Program staff administer a County-wide program which includes a regional, competitive bulk hard clam (quahog), oyster seed and oyster remote set purchase designed to help coastal towns avoid costly and late seed arrival problems, as well as ensuring continued shellfish resource enhancement for the public. Cooperative Extension Marine Program staff oversee implementation of the entire program. Habitat degradation and ocean acidification are two problems that can wreak havoc on shellfish survival. 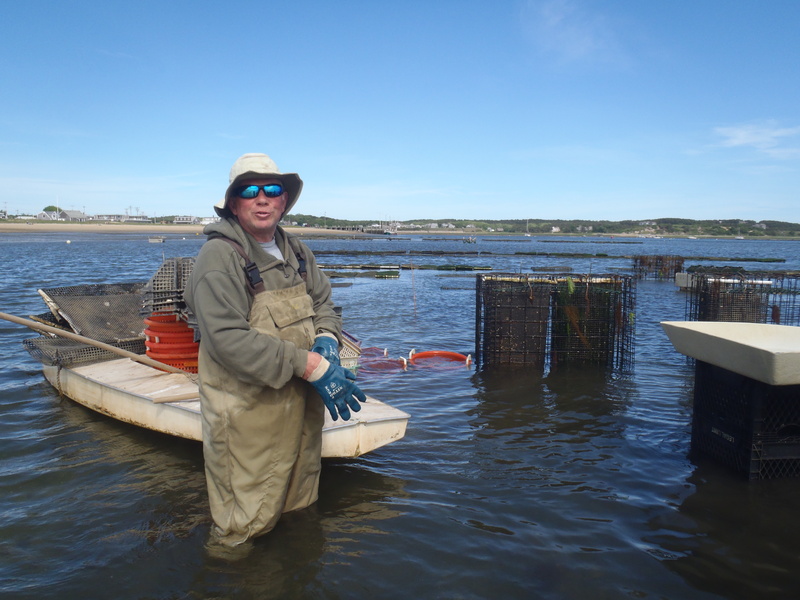 CCCE works with municipalities on strategies for shellfish aquaculture and restoration to help ameliorate and lessen the effects of excess nitrogen in Cape Cod’s coastal waters. Mashpee and Falmouth have dedicated funds to explore methods to remediate nitrogen through projects aimed at utilizing the filter-feeding capacity of shellfish and all other Cape towns are looking into ways to solve the nitrogen issue. 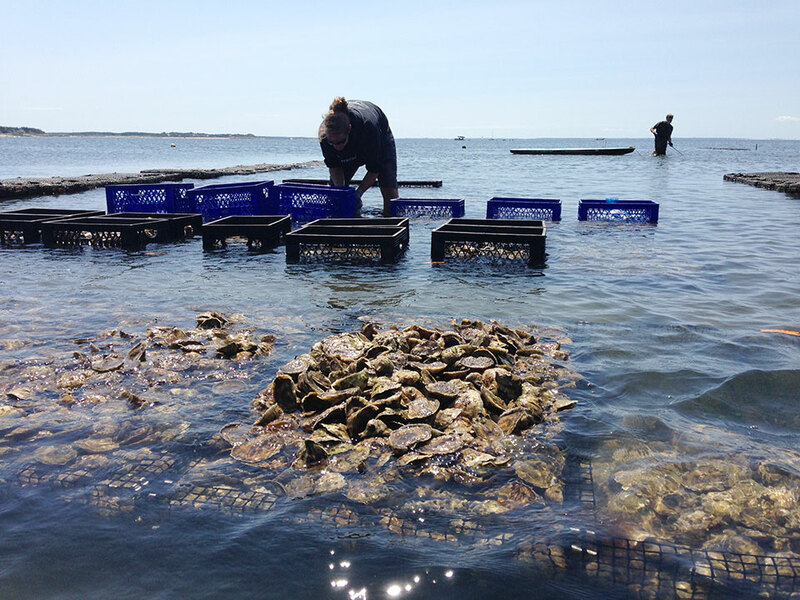 An example of the potential for nitrogen removal: commercial oyster harvest in Wellfleet estimated conservatively at 6,000,000 oysters yearly which would remove 3,704 pounds of nitrogen at 0.28g nitrogen per oyster. If not removed from the water via shellfish this nitrogen could contribute to algal blooms in water bodies that sometimes make swimming and boating unpleasant. Remediation of nitrogen holds much promise for the future of shellfish aquaculture. 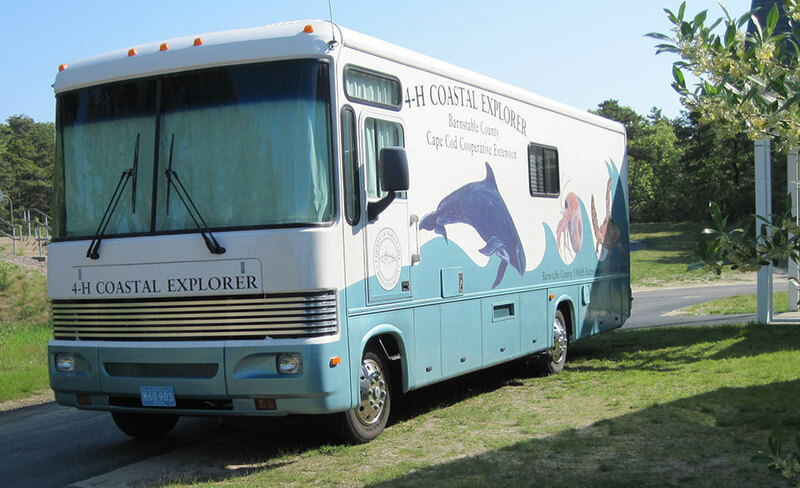 The "Coastal Explorer" is essentially a field trip that comes to the school. According to Eileen Sonnenberg, Extension Specialist, “The Coastal Explorer is used during spring, summer and fall. 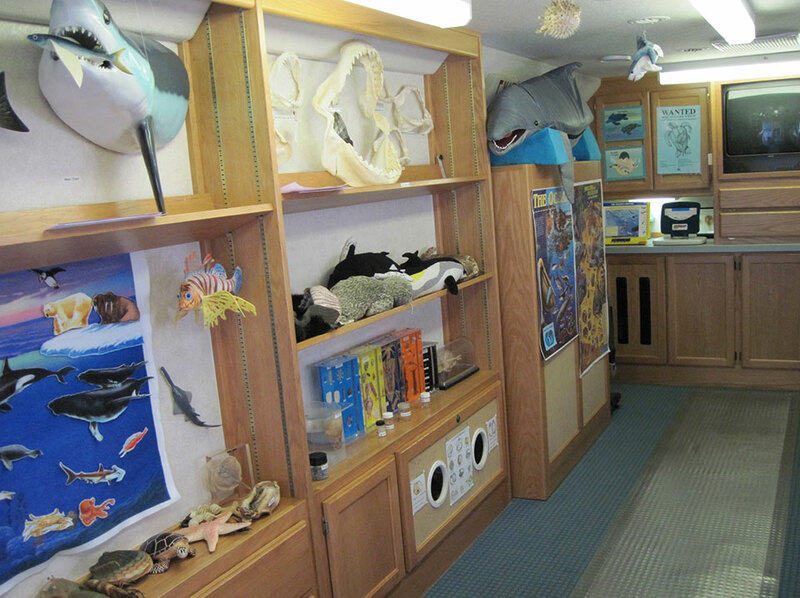 Essentially, it is a mobile museum, and since 1998, it has visited approximately 45 schools in Barnstable County, including some middle schools and private schools.” On average, at least 5,000 students, mostly in grades K-5, are taught at this rolling educational museum during the spring and fall school season. Currently, there is no waiting list since most participating schools are enthusiastic enough to book a year in advance. A 155-page curriculum guide accompanies the program, with grade-specific topics in marine science. 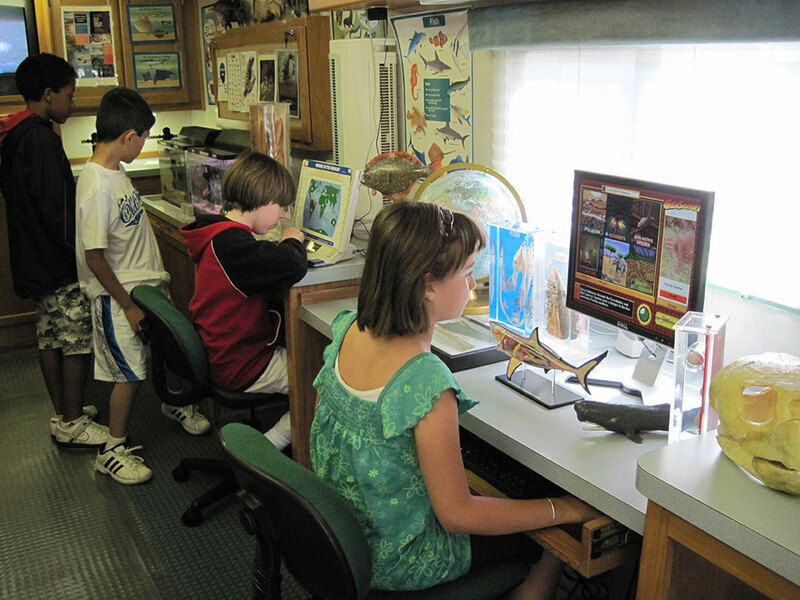 Education includes artifacts, shells, whale skeletons and computers loaded with marine science data. In the summer, this museum throws open their doors to all ages, with tours around the Cape, parking at libraries, museums, youth camps, parks and beaches, educating Cape Cod residents and visitors alike about the importance of the marine environment. Average visitation in recent years has been 2,000 each summer over a 6-week period. In response to problematic fires on publically-owned lands, extension staff developed a preventive program in 2003. This program is intended to provide public education about the risk of wildland (forest) fires and address the issue of fire safety, specifically management of available wildland fuels on lands held in conservation. A sure recipe for fires is the confluence of dry pines, oaks, sand and wind. And towns do not always have funds to take care of these open lands properly. In order to avoid unchecked fire damage, prescription burns are set with underbrush removed and then these burns are managed to help make sure fire is not allowed to start and run up trees unattended. Cape Cod’s sole source aquifer relies entirely on its groundwater to provide all of the drinking water to the region. In many places, as little as 20 feet of sandy soil lie between the surface and the Cape’s drinking water. Contamination of groundwater from a military base, failed drinking water wells from a plume of contaminants from a town landfill, and the presence of trace amounts of pharmaceutical and personal care products in local ponds has made residents acutely aware of the need for proper hazardous waste disposal. Through public education and organized regional collection programs, CCCE has created an essential program to prevent hazardous chemicals from entering Cape Cod's environment. Last year, 172 tons of hazardous materials were garnered from 23 collections. “Keeping this massive quantity of pollutants out of the water supply is essential to our health, economy, and the survival of the Cape as we know it,” says Michael Maguire, Director of the household hazardous waste program. “We spend a tremendous amount of time and energy educating both year-round residents and visitors about the crucial relationship between drinking water and hazardous waste in our region. The actions of the public play a primary role in preserving water quality and the environment of Cape Cod,” he added. -Regional collection programs provide convenient, cost-efficient collection of hazardous materials for all Cape Cod towns. In addition to the one-day collection events, CCCE also provides disposal solutions for difficult to manage products including unwanted pharmaceuticals, road and marine flares (containing the thyroid inhibiting substance perchlorate), and mercury containing devices by working with local municipalities and private vendors to establish year round locations for simple and free disposal. Many of these programs are first of their kind national and state models that have won accolades and awards from agencies including the Toxic Use Reduction Institute, North American Hazardous Material Management Association, Product Stewardship Institute, and the Massachusetts Department of Environmental Protection.